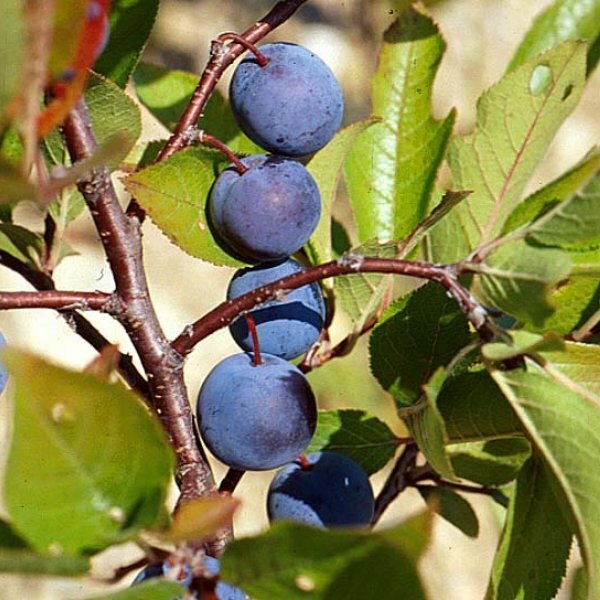 The traditional source of beach plum jelly, this hardy, suckering, deciduous shrub is a signature plant of coastal dunes from New Brunswick to Maryland. Typically low-growing in its windswept native haunts, it can attain small-tree stature in less demanding conditions. The toothed, oval, dull green leaves with paler fuzzy undersides emerge in mid-spring, shortly after the small, white, bee-pollinated flowers open. The abundant blooms occur in numerous small clusters on the previous year's growth. Grape-size edible fruits develop in summer, ripening from green to dull purple or crimson (or yellow in f. flava). The fruits, which vary widely in flavor, are most often used for jellies or preserves, but are also eaten fresh. This shrub or small tree often suckers from its roots to form thickets. Its reddish brown bark provides winter interest. 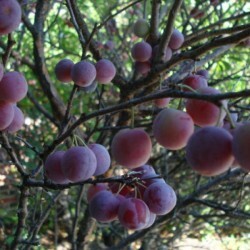 Grow beach plum in full sun in any well-drained soil. Although a terrific plant for seaside gardens or windy locales, it often prospers elsewhere provided soil is not too rich or wet. 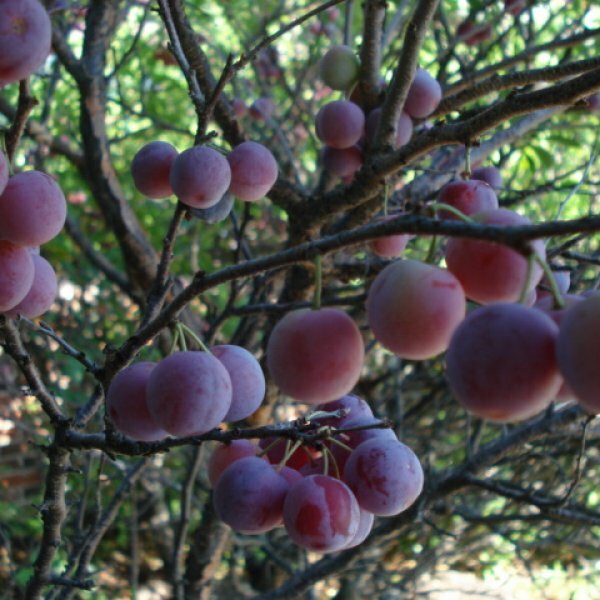 Lowest branches (as well as root suckers) can be pruned away to form a picturesque small tree suitable as a garden focal point. Beach plum also makes an excellent naturalistic hedge, buffer or windbreak.